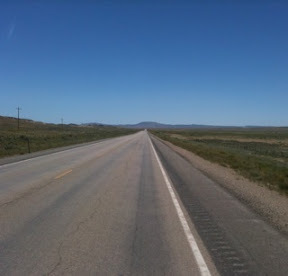 We are driving down highway 789 toward Baggs Wyoming headed towards Alma, CO to see our friends Heather and Jake. This is the first drive we have taken with the new motor and things are running smoothly. 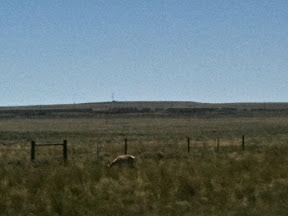 We saw some Pronghorned Antelope alongside the road. Here's a picture of one.